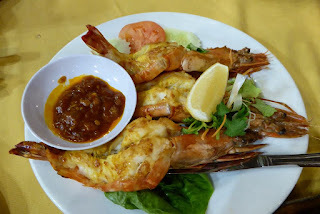 As promised, here are my top four selections of food in Langkawi, and most of them are highly rated by TripAdvisor users as well. 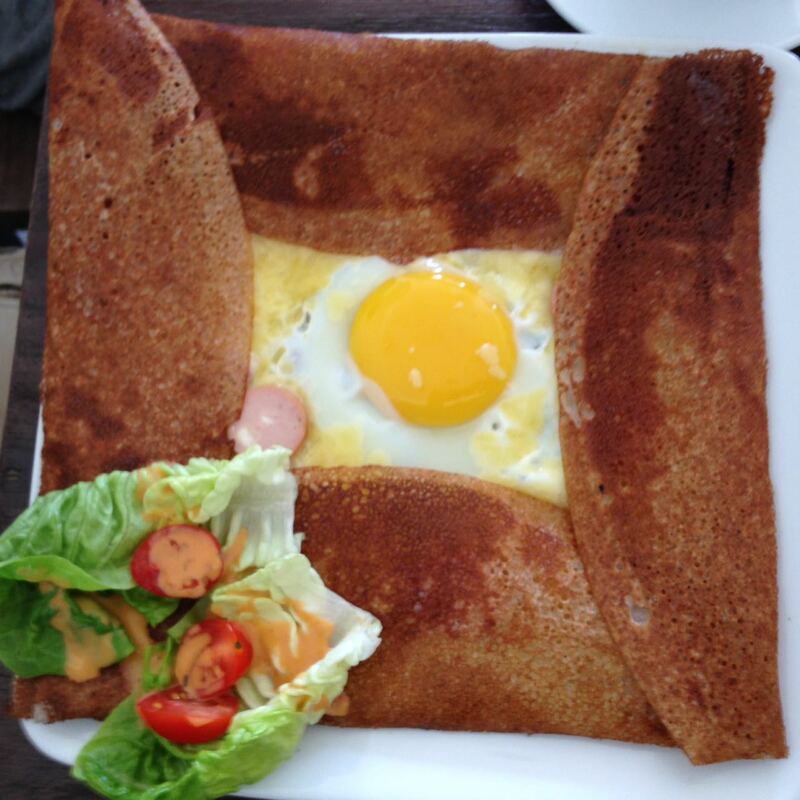 Breizh Up is a small French joint which serves delectable galettes (pictured above). The La Malaysienne one was innovative and mouth-watering, with ingredients such as sambal belachan and anchovies. If not for my expanding waist line, I would have gladly ordered a second helping. The children enjoyed the pasta (they had only one pasta option) and the croissants (only available during breakfast, I think) were soft and buttery too. Haroo was rated first on TripAdvisor when we were there and Lyndon declared that it truly deserved its ranking. It serves Korean food. My spicy noodles was very satisfying and the kimchi tasted very fresh. Lyndon said the Bibimbab was good too. Our friends had the grilled chicken, which looked pretty tantalising. The restaurant also served free ice cream at the end of our meal, which we thought was a very thoughtful gesture. We went to Unkaizan for our final meal in Langkawi and it was a lovely conclusion to our trip. 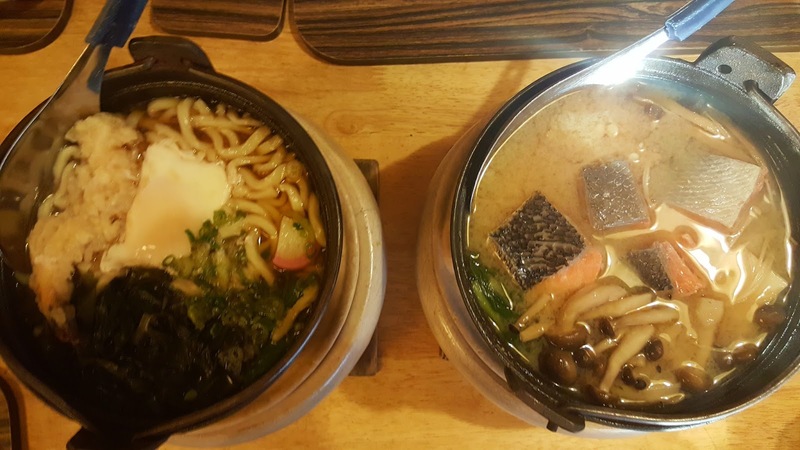 I loved my salmon nabe and our shared grilled chicken dish. Little An usually does not like meat that is too tough, but she asked for more of the grilled chicken after finishing the portion that was dished out to her. The restaurant itself is elegant and the waitresses were polite and attentive. Colouring sheets were provided to occupy the children while the food was being prepared. 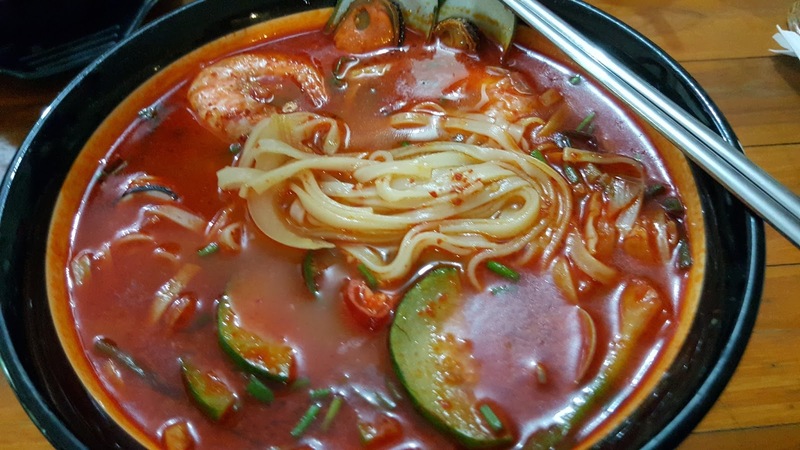 We had a lovely experience there although the food was not cheap. Orkid Ria is not as high up on the TripAdvisor chart as Haroo and Breizh Up, but we went there on a taxi driver's recommendation. The prawns and fish were selected and slaughtered on the spot, so they tasted very fresh indeed. 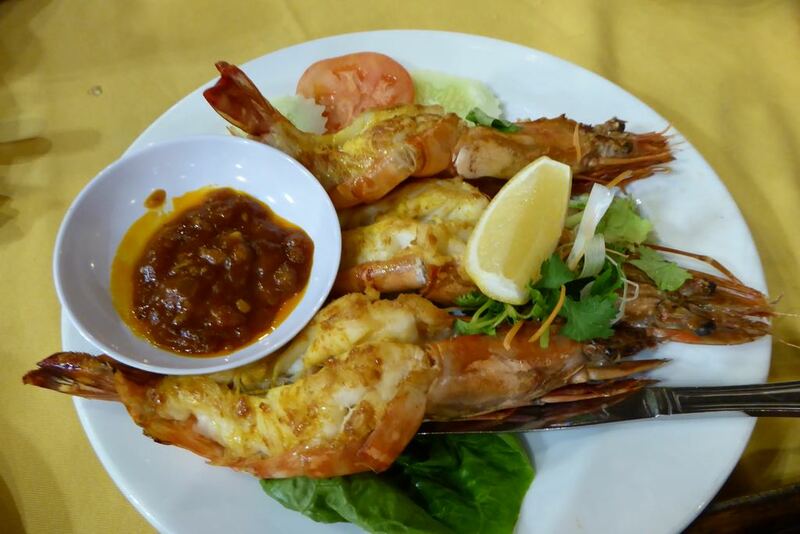 We thought the prawns might have been softer if they were prepared in other ways - we ordered grilled, but other than that, we slurped up our meal and the children finished what we gave them too.